The Virtue Of Hitting 'Delete,' Permanently Digital technology has provided a steady aid for people in their quest to remember virtually everything. 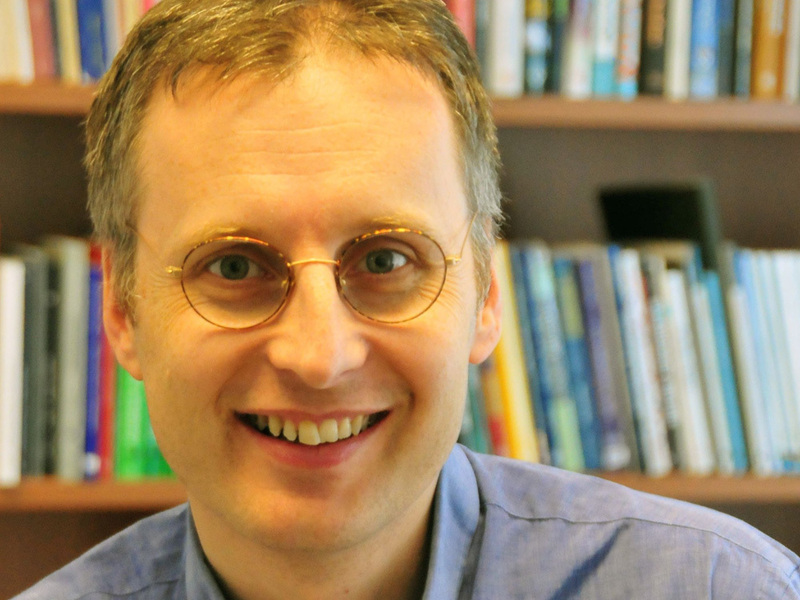 But author Viktor Mayer-Schonberger argues that now is the time to reintroduce our ability to forget. 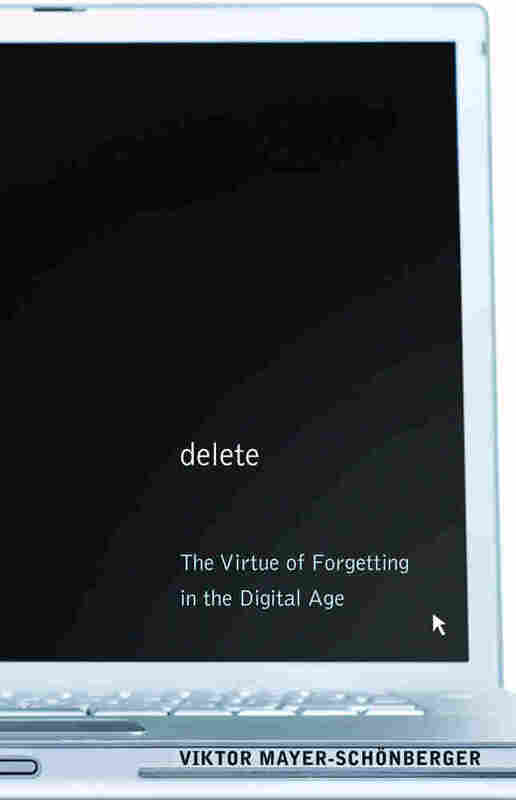 He talks about his book, Delete, and why forgetting is essential. Viktor Mayer Schonberger is the director of the Information and Innovation Policy Research Centre at the National University of Singapore. Evolving digital technology has provided a steady aid for people in their quest to remember virtually everything. Social networking sites remind you of friends' birthdays, digital calendars send you reminders, and photos posted online preserve memories indefinitely. But Viktor Mayer-Schonberger, author of Delete: The Virtue of Forgetting in the Digital Age, argues that now is the time to reintroduce our ability to forget. The indelible digital memory can be as unforgiving as it is helpful. Mayer-Shonberger suggests an expiration date for information. Mayer-Shonberger talks about his book, Delete, with Neal Conan, and makes his case for why forgetting is essential. Stacy Snyder wanted to be a teacher. By spring of 2006, the 25-year-old single mother had completed her coursework and was looking forward to her future career. Then her dream died. Summoned by university officials, she was told she would not be a teacher, although she had earned all the credits, passed all the exams, completed her practical training — many with honors. She was denied her certificate, she was told, because her behavior was unbecoming of a teacher. Her behavior? An online photo showed her in costume wearing a pirate's hat and drinking from a plastic cup. Stacy Snyder had put this photo on her MySpace web page, and captioned it "drunken pirate," for her friends to see and perhaps chuckle over. The university administration, alerted by an overzealous teacher at the school where Stacy was interning, argued that the online photo was unprofessional since it might expose pupils to a photograph of a teacher drinking alcohol. Stacy considered taking the photo offline. But the damage was done. Her page had been catalogued by search engines, and her photo archived by web crawlers. The Internet remembered what Stacy wanted to have forgotten. Stacy later unsuccessfully sued her university. She alleged that putting the photo online was not unprofessional behavior for a budding teacher. After all, the photo did not show the content of the plastic cup, and even if it did, Stacy, a single mother of two, was old enough to drink alcohol at a private party. This case, however, is not about the validity (or stupidity) of the university's decision to deny Stacy her certificate. It is about something much more important. It is about the importance of forgetting. Since the beginning of time, for us humans, forgetting has been the norm and remembering the exception. Because of digital technology and global networks, however, this balance has shifted. Today, with the help of widespread technology, forgetting has become the exception, and remembering the default. How and why this happened, what the potential consequences are for us individually and for our society, and what — if anything — we can do about it, is the focus of this book. For some, Stacy Snyder's case may sound exceptional, but it is not. Dozens of cases of profound embarrassment, and even legal action, have occurred since then — from the attorney who cannot get the Internet to forget an article in a student newspaper more than a decade ago to a young British woman who lost her job because she mentioned on Facebook that her job was "boring." By 2008, more than 110 million people had individual web pages on MySpace, just like Stacy Snyder. And MySpace wasn't the only game in town. Facebook, MySpace's direct competitor, had created 175 million pages online for individual users by early 2009. Facebook and MySpace are primarily focused on the U.S. market (although this is changing), but the phenomenon is not a purely American one. Social networking site Orkut, owned by Google, has over 100 million users, mostly in Brazil and India. A good dozen other sites around the world account for at least another 200 million users. These numbers reflect a more general trend. The first years of the Internet surge, culminating in the dot-com bubble and its burst, were all about accessing information and interacting with others through the global network (call it Web 1.0, if you want). By 2001, users began realizing that the Internet wasn't just a network to receive information, but one where you could produce and share information with your peers (often termed Web 2.0). Young people especially have embraced these Web 2.0 capabilities. By late 2007, Pew Research, an American organization surveying trends, found that two out of three teens have "participated in one or more among a wide range of content-creating activities on the Internet," with more girls creating (and sharing) content than boys. On an average day, Facebook receives 10 million web requests from users around the world every second. As professors John Palfry and Urs Gasser have eloquently detailed, disclosing one's information — whether these are Facebook entries, personal diaries and commentaries (often in the form of blogs), photos, friendships, and relationships (like "links" or "friends"), content preferences and identification (including online photos or "tags"), one's geographic location (through "geo-tagging" or sites like Dopplr), or just short text updates ("twitters") — has become deeply embedded into youth culture around the world. As these young people grow older, and more adults adopt similar traits, Stacy Snyder's case will become paradigmatic, not just for an entire generation, but for our society as a whole. Web 2.0 has fueled this development, but conventional publishing — paired with the power of the Internet — has rendered surprisingly similar results. Take the case of Andrew Feldmar, a Canadian psychotherapist in his late sixties living in Vancouver. In 2006, on his way to pick up a friend from Seattle-Tacoma International Airport, he tried to cross the U.S./Canadian border as he had done over a hundred times before. This time, however, a border guard queried an Internet search engine for Feldmar. Out popped an article Feldmar had written for an interdisciplinary journal in 2001, in which he mentioned he had taken LSD in the 1960s. Feldmar was held for four hours, fingerprinted, and after signing a statement that he had taken drugs almost four decades ago, was barred from further entry into the United States. Andrew Feldmar, an accomplished professional with no criminal record, knows he violated the law when he took LSD in the 1960s, but he maintains he has not taken drugs since 1974, more than thirty years before the border guard stopped him. For Feldmar, it was a time in his life that was long past, an offense that he thought had long been forgotten by society as irrelevant to the person he had become. But because of digital technology, society's ability to forget has become suspended, replaced by perfect memory. Much of Stacy Snyder's pain, some say, is self-inflicted. She put her photo on her web page and added an ambiguous caption. Perhaps she did not realize that the whole world could find her web page, and that her photo might remain accessible through Internet archives long after she had taken it offline. As part of the Internet generation, though, maybe she could have been more judicious about what she disclosed on the Internet. This was different for Andrew Feldmar, however. Approaching seventy, he was no teenage Internet nerd, and likely never foresaw that his article in a relatively obscure journal would become so easily accessible on the worldwide Net. For him, falling victim to digital memory must have come as an utter, and shocking, surprise. But even if Stacy and Andrew had known, should everyone who self-discloses information lose control over that information forever, and have no say about whether and when the Internet forgets this information? Do we want a future that is forever unforgiving because it is unforgetting? "Now a stupid adolescent mistake can take on major implications and go on their records for the rest of their lives," comments Catherine Davis, a PTA co-president. If we had to worry that any information about us would be remembered for longer than we live, would we still express our views on matters of trivial gossip, share personal experiences, make various political comments, or would we self-censor? The chilling effect of perfect memory alters our behavior. Both Snyder and Feldmar said that in hindsight they would have acted differently. "Be careful what you post online," said Snyder, and Feldmar added perceptively "I should warn people that the electronic footprint you leave on the Net will be used against you. It cannot be erased." But the demise of forgetting has consequences much wider and more troubling than a frontal onslaught on how humans have constructed and maintained their reputation over time. If all our past activities, transgressions or not, are always present, how can we disentangle ourselves from them in our thinking and decision-making? Might perfect remembering make us as unforgiving to ourselves as to others? From Delete by Victor Mayer Schonberger, published by Princeton University Press. Copyright 2009 by Princeton University Press. Printed by permission.